The Actisol® Perimeter Pro, from Environmental Delivery Systems, Inc., is a unique mobile delivery system designed to perform precision exterior and perimeter applications, reduce costs, increase productivity and enhance professional appearance. The Actisol® Perimeter Pro is powered by a 12v deep cycle sealed lead acid battery and does not require gasoline or oil. To reduce or eliminate the transportation spill risk this system is designed to be empty after every application. 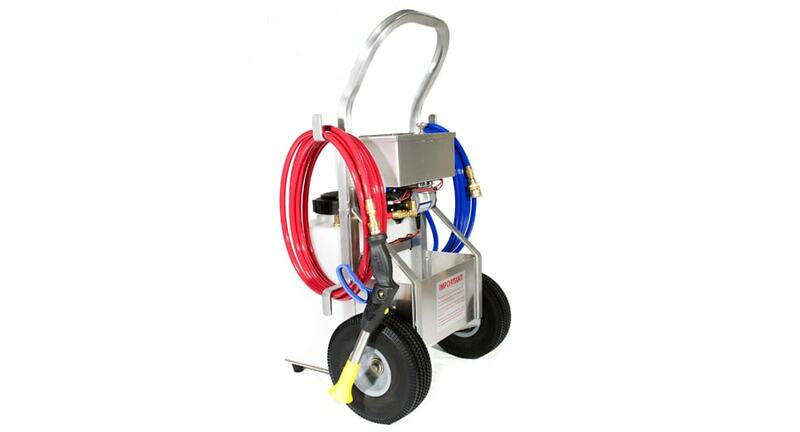 Its’ unique compact design also reduces the risk of damaging your client’s exterior property as you will no longer drag a long, heavy hose around landscaping and other objects. 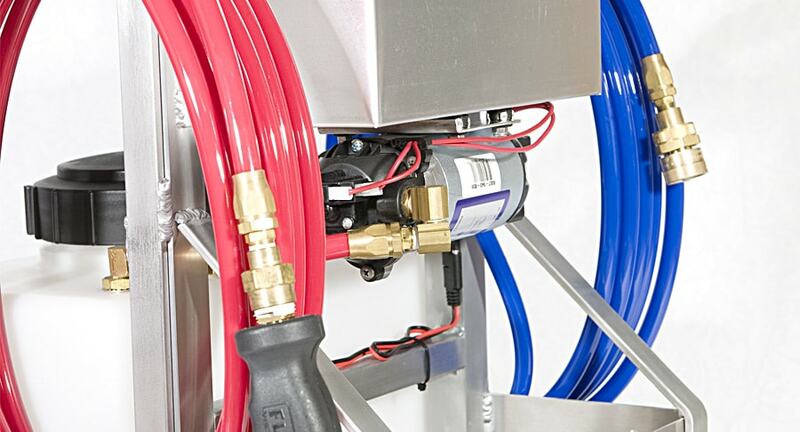 The Actisol® Perimeter Pro can be filled easily from any garden hose or spigot, which eliminates the need to travel back to the service vehicle to refill, roll hoses or recirculate. This reduces fatigue and time spent at each account. 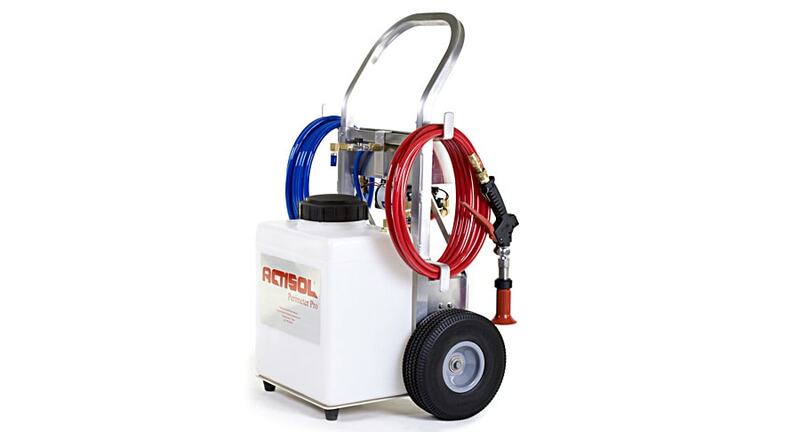 Results of field trials indicate that pest management professionals favored the Actisol® Perimeter Pro over the traditional hose tethered spray rig. The Perimter Pro is incredible- we used it to make a Termidor application on the grounds of a sprawling hotel that included a courtyard. 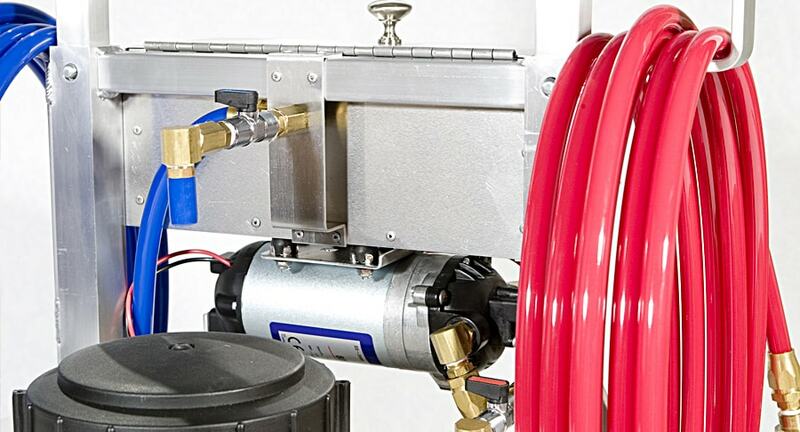 We didn’t have the access needed to use a traditional power spray unit and a backpack sprayer would have taken too long, but with the PerimterPro, we knocked the job out quickly with one charge of the battery while putting out just the right amount of material. This is a really slick machine- we couldn’t ask for more. The Perimter Pro has completely changed the way I bid treatment services on large facilities. Because of the savings of time, product (waste), fatigue levels of techs, and treatment logistics; it opens up many possibilities that could not be accomplished with spray cans, backpacks or spray rigs. The Actisol® Perimter Pro was used in our commercial area around large properties with rodent and insect pressure. We loved the labor savings of not pulling hoses, not moving vehicles, and not returning multiple times to the vehicle for supplies. You have a very useful tool for exterior with a professional new look! Technicians were impressed with it. The Perimter Pro is extremely durable and the battery life will allow you to easily service accounts all day without a recharge. We recently serviced an account that took the technician 10 hours, the battery worked the entire time. 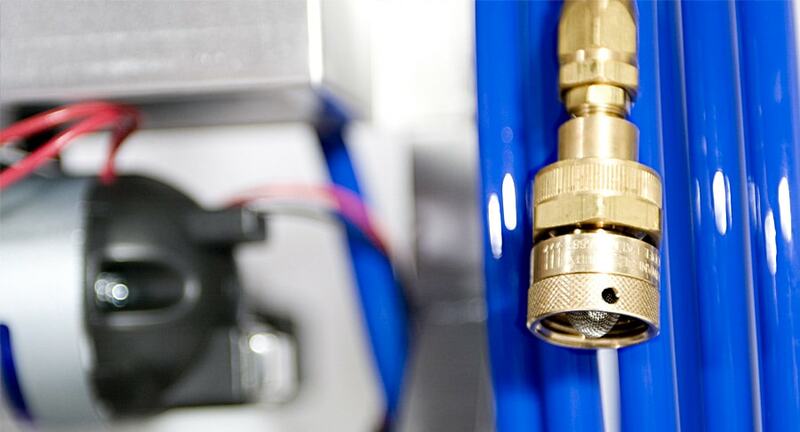 Fill Hose Length (Blue): 20ft. Discharge Hose Length (Red): 20ft.